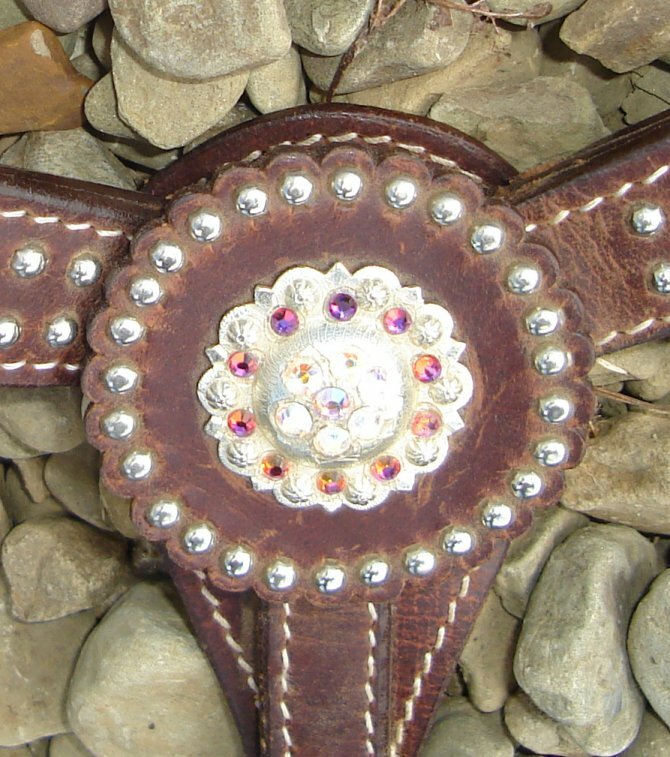 All items below are individually stocked--once they are gone they are gone! Please email for information on quantity orders for drill teams, awards, etc. 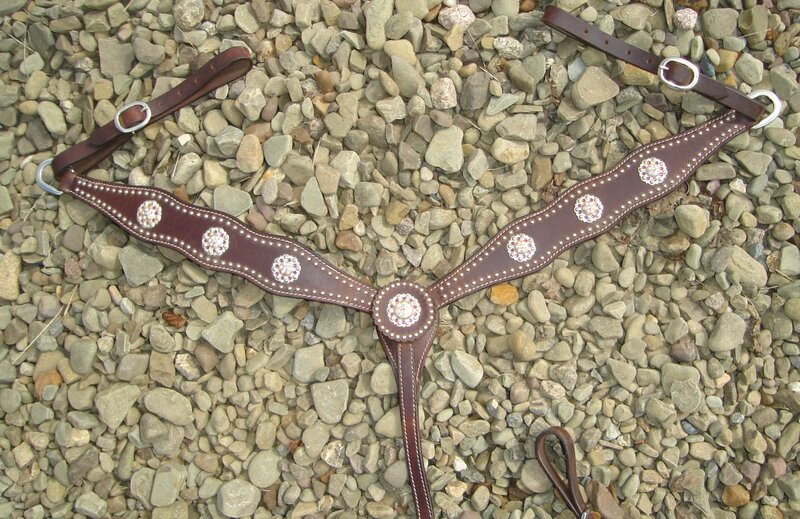 Dark oil Cody Brand scalloped breastcollar with Volcano and Crystal AB stones. 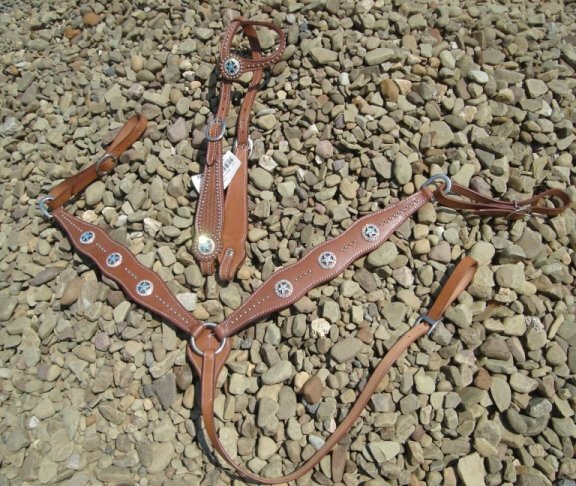 Supple leather, heavy duty stitching, accented with silver studs. Volcano stones are an effect color from Swarovski--they shine purple, maroon, blue, orange and yellow depending on the light. 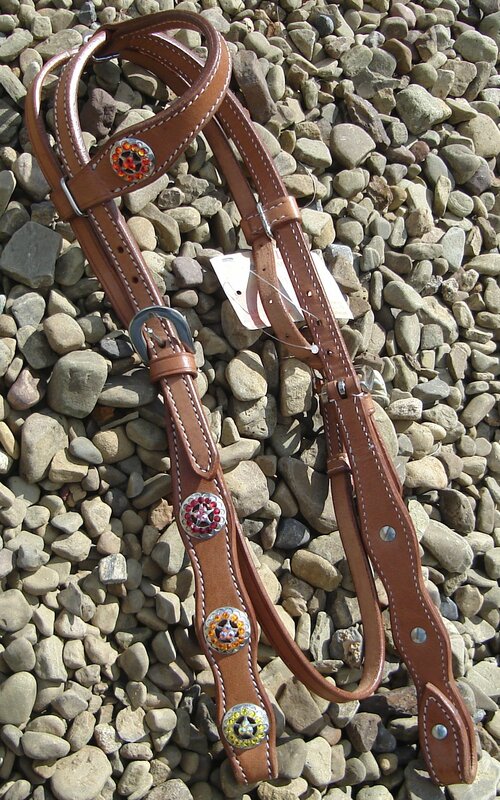 Light oil Cody Brand one-ear headstall with sunset-inspired stones. 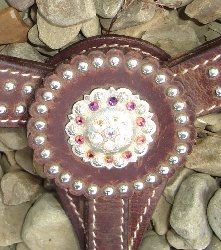 Fireopal (shines from red to orange to yellow) stones on silver star concho on earpiece. 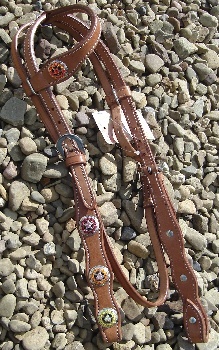 Red, orange and yellow stone accent silver star conchos down each side of headstall. 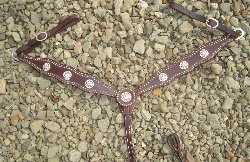 Medium oil Cody Brand Headstall and Breastcollar set with silver Texas Star conchos. 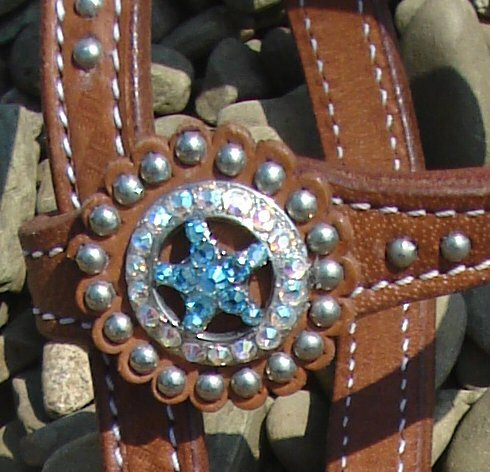 Conchos are accented with iridescent crystal and aqua Swarovski rhinestones.